Watch the Kentucky Fresh Cookbook video here. 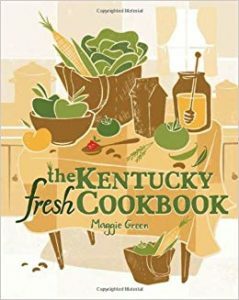 Written by native Kentuckian Maggie Green, The Kentucky Fresh Cookbook features more than 200 recipes using fresh Kentucky ingredients. Centered in the kitchen, this book guides aspiring and experienced cooks through a Kentucky year, using the variety of foods Kentucky has to offer. Maggie welcomes readers with her modern and accessible approach, incorporating seasonally available Kentucky produce in her recipes (and substituting frozen or canned food when necessary). She complements her year of recipes with tidbits about her own experiences with food, including regional food traditions she learned growing up in Lexington, attending the University of Kentucky, and now raising a family in Northern Kentucky. 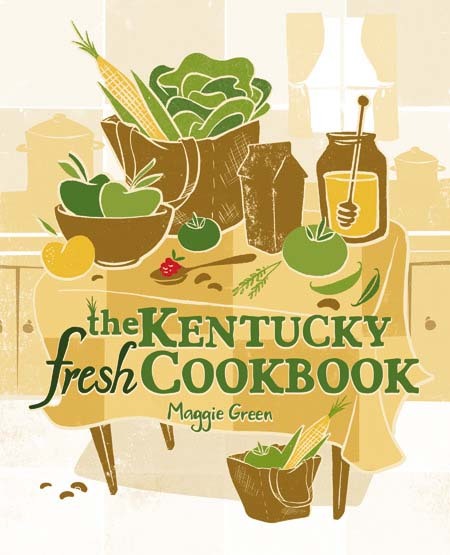 The Kentucky Fresh Cookbook acknowledges the importance of Kentucky’s year-round culinary and agricultural traditions while showing how Southern culture continues to shape modern food choices and cooking methods. Maggie makes cooking fresh, homemade meals not only inviting but doable. She addresses the concerns of contemporary cooks with regards to time, health, and the environment, and appeals to modern tastes using up-to-date, clearly written recipes and cooking techniques. The Kentucky Fresh Cookbook contains a year’s worth of recipes and menus for everyday meals, holidays, and special occasions – all written with customary Kentucky flair. For traditional Kentucky cooks this book offers fresh twists on old favorites such as lima bean and corn salad, fresh blackberry cake, and Kentucky cornbread strata. Many recipes use traditional Kentucky ingredients in a contemporary fashion. 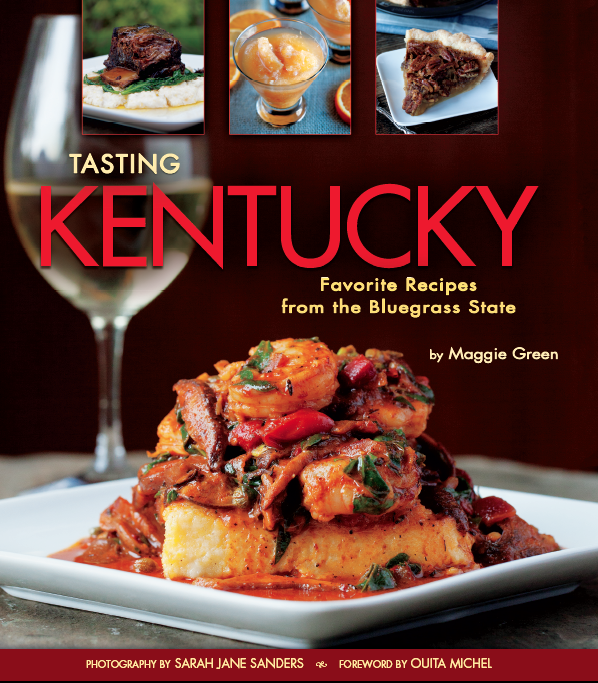 For the lost generation of Kentuckians who want to learn some favorite Kentucky recipes, this book offers basic recipes every Kentuckian must know such as Buttermilk Cornbread, White Cheddar Pimento Cheese Sandwiches, and the ever-popular Burgoo. For homogenous eaters, or those who feel like they cook the same thing all the time, this book offers new ideas, recipes, and menus for family suppers, holiday meals, and traditional Kentucky celebrations such as Oktoberfest, fish frys, and the Kentucky Derby. For kitchen-novices, this book offers a fresh way to cook with the seasons and explores the purchasing of locally-produced and -grown food, as well as a complete Kentucky pantry list, equipment and cooking method discussion, and Kentucky seasonal produce chart. For seasoned Kentucky cooks, this book is a treasure of over 200 traditional and contemporary recipes that everyone will love.